Do you like visiting beautiful gardens? It can certainly be a really pleasant way to spend an hour or two, particularly if you sit and ponder for a while over a cuppa and cake! Many towns and villages have open garden events with several gardens participating, and with funds going to local good causes. 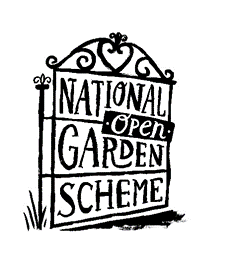 But did you know that many beautiful gardens open in Essex and right across the country for the National Garden Scheme (NGS)? And did you know the NGS raises millions of pounds for nursing charities in England and Wales? The National Garden Scheme is the most important charitable funder of nursing charities in England and Wales, and has donated over £50 million so far. We assist our garden owners to open their lovely gardens to the general public, sharing their enthusiasm and in the process, raising large amounts of money through entry fees, teas, cake and plant sales. The charities that benefit include: The Queen’s Nursing Institute, Marie Curie, Macmillan Cancer Support, Hospice UK, Carers Trust, Parkinson’s UK, Perennial and other guest charities, this year’s guest charity is the MS Society. Why not start your gardening year by visiting an NGS garden and continue to help fund these worthwhile charities that help change so many lives? 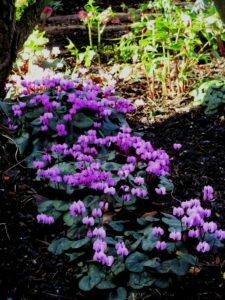 While spring and summer might be the prime time for garden visiting, several gardens also open in the autumn and winter. For example, in 2018 100 gardens opened for the third annual National Garden Scheme Snowdrop Festival: some gardens have 300 named varieties of snowdrops. In Essex, two of the gardens open for the festival were “Dragons” near Chelmsford and Horkesely Hall near Colchester. 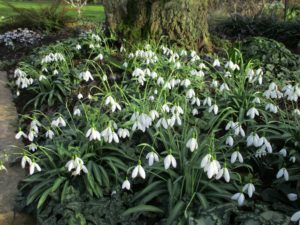 On a bright, crisp day in February what better activity than being in a National Garden Scheme garden surrounded by snowdrops creating a stunning display? 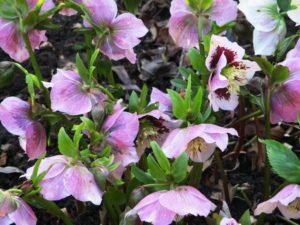 On Friday 16th February, Margot opened her garden, “Dragons” and over a hundred visitors enjoyed her stunning garden with wonderful displays of hellebores and other early spring flowers. Refreshments were available and plants for sale, including many of the rarer snowdrops. The small entrance fees and additional revenue from sales of plants and refreshments all help support many wonderful good causes. Additionally, the National Garden Scheme is passionate about the incredible, positive effect that gardens and gardening can have on our physical and mental health. To further investigate the reasons gardening can benefit a person’s health; The National Garden Scheme has been asking their most valuable resource, their garden owners and visitors. Over 600 of their National Garden Scheme garden owners responded to an online health survey. Here are their top five health benefits! Full details of the online health survey are available on the website. Use the Healthy Life Essex Open Garden events section to find out what gardens are open in Essex, visit the NGS website, download their app or buy their Garden Visitor’s Handbook 2018.